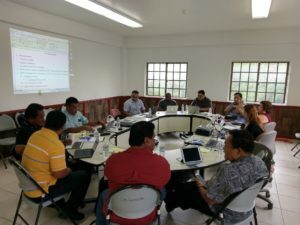 At their annual fisheries consultations in Yap between the National Oceanic Resource Management Authority (NORMA) and Japan last June 21-27, 2017 in Colonia, Yap, a landmark ten year fishing agreement was reached between FSM and Japan. This is the second ten year agreement between FSM and Japan. The new agreement grants access to the FSM EEZ by Japanese fishing vessels on an annual or multi-year basis. Under the new agreement, NORMA and Japan must meet annually to negotiate the terms and conditions for fishing on an annual or multi-year basis and these terms and conditions would be implemented through memorandums of agreements with the three fisheries associations. Three memorandums of agreements were reached to license purse seine, longline and pole and line vessels over the next three. The new agreement includes the requirement that all fishing vessels carry adequate insurance coverage in the event of maritime accidents in the FSM. In addition, the pole and line group will work to develop employment opportunities for FSM nationals to work on their vessels in the near future. 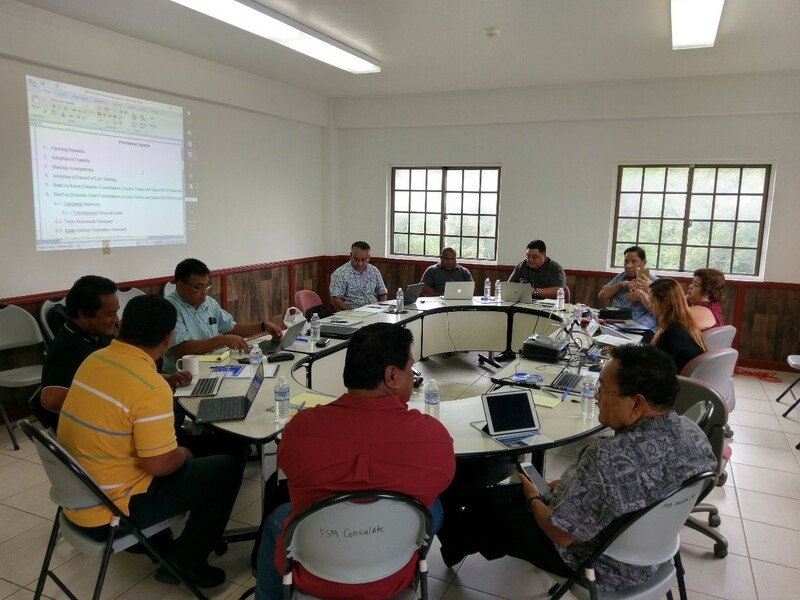 The purse seine group already employs more than 50 FSM nationals on their vessels. Implementing the longline vessel day scheme with Japan a priority for FSM. Incentives were built in to get more longliners to transship in FSM ports which could result in significant economic benefits. The agreed annual financial package between FSM and Japan annually is approximately $22.9 million for 2018 and 2019 respectively. “FSM and Japan have enjoyed a very long and mutually beneficial relationship that spans decades and this new agreement marks a new era of fisheries relations with Japan. It again provides for greater economic cooperation between our two countries to achieve both our political and economic aspirations” say Roger Arnold, Chairman of NORMA”. Read the full article from Pacific Beat. NORMA Executive Director Eugene Pangelinan, ECE Chief Arwelson Arpona and Representatives from the 5 WTD Participating ECE Centers. 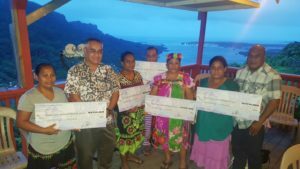 An Outcome & Appreciation Ceremony was held on May 19, 2017 by the National Oceanic Resource Management Authority, during which Executive Director Eugene Pangelinan presented appreciation certificates to all involved in helping to make the FSM’s first World Tuna Day celebrations a success. The unofficial results of an event survey were presented at the gathering, which noted feedback in areas such as better timing, enhanced logistics and improved participation. The overall coordination of the event was reported in the survey as being excellent. Also present at the Outcome & Appreciation Ceremony were representatives from World Bank/PROP, FSM Vital Petrocorp, FSM Telecommunications, Conservation Society of Pohnpei, Pohnpei Department of Health Services, FSM Department of Foreign Affairs, Vice President’s Office, King’s Media Zone, Etscheit Enterprises, Jitters Coffee, Kaselehlie Press and volunteers from COM-FSM, all of whom contributed to a successful inaugural World Tuna Day Fair. For more information or to participate in the World Tuna Day Feedback Survey, please contact the NORMA Office at (691) 320-2700, email Chief of Statistics, Compliance & Technical Projects Ms. Suzanne Lowe Gallen (suzanne.gallen@norma.fm) or visit the NORMA Facebook page.